FORMERLY PARLYZED MAN WALKS WITHOUT LEG BRACES! How to be Transformed by Faith! This is an awesome teaching by Don Mohler on how to pray from your hearts desires and see real transformation. It’s a powerful teaching that changed my life dramatically a few years back. I prayed like that for over a year and saw more growth in one year than in 25 years of trying to change by my own strength. His grace is transforming! Man Healed and Walks two days after breaking both ankles! 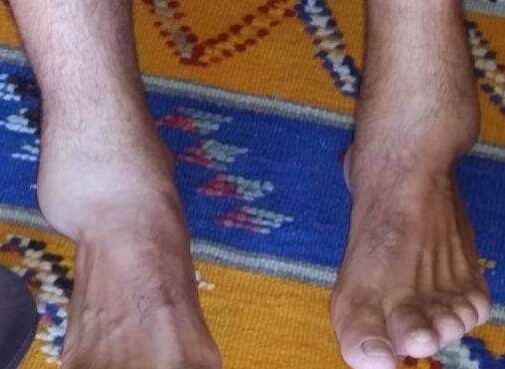 Man Healed and Walks two days after breaking both ankles! Jesus is Lord! Check out this amazing healing testimony! It’s from 2014 but worth reposting! Five of us went to the Topsfield fair in eastern MA on Sunday OCT 12th to pray for the sick and minister the good news. 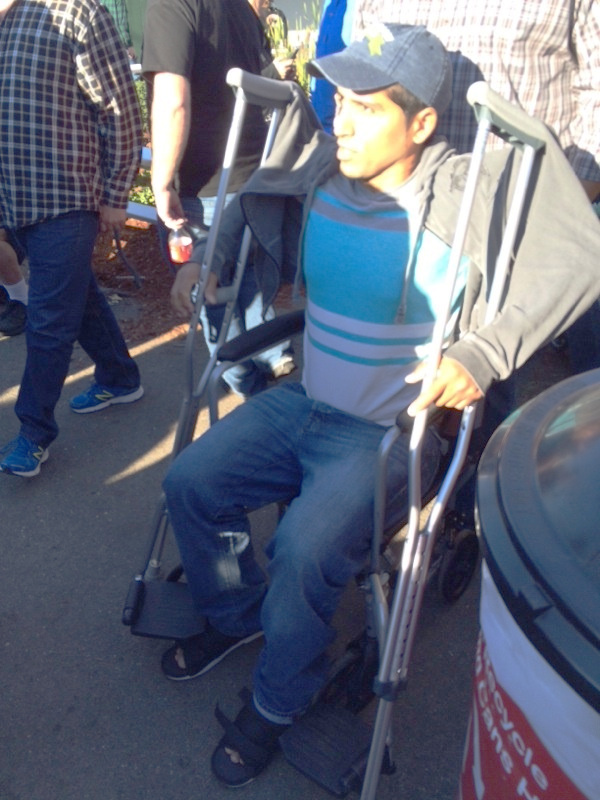 One of the first people we encountered was a young man who was in a wheelchair wearing soft casts on his feet. We asked what had happened and he went on to explain how two days earlier he was fishing and fell off some rocks and broke both ankles. At the time we didn’t know how bad it was but later he shared these photos of the ankles. Our friend Garth, his two boys, and my soon to be wife Laury and I were there all praying and declaring healing over this man. Garth with his tenacious nature and his boys were the ones doing most of the laying on of hands as Garth had the man stand to test the healing. He said there was definitely some immediate improvement so we blessed him and we left. About ten minutes later, the guy tracked down Laury while we visited the men’s room. He said that he could feel his casts getting looser as the swelling was decreasing and that he felt 90% healed and he seemed so happy. I asked if he could text me the pics from two days ago and if he would send me an update later when he got home that night. Well, about 90 minutes later, I received this video below. We always expect great miracles but even we were so excited to see such a quick recovery. I honestly think it’s no harder for Jesus to heal all sicknesses this quickly. The bible testifies to many such healing events and I’m believing we’ll start seeing more and more like this as well. How awesome is our God!!!!! *** 10/15/2014 UPDATE: I just received confirmation from this man who went back to his Dr. this morning , walked in, got re-x-rayed, and the Dr. said he no longer has broken bones – they are healed!!! He said it all looks good, take it easy for a week and you can return to work. Jesus is amazing! Every one of us there prayed for several people during the day and we saw amazing results and miracles. One of the last people Laury and I prayed for on the way out was scheduled for a knee replacement but she received a new knee from Jesus and walked out without a limp or a cane. It’s been so amazing every week to see such miracles. I am truly humbled by God’s love. How can we walk in greater faith? Check out this message I gave in Springfield AM. It’s full of encouragement on waking in faith and healing the sick as presented at Lighthouse church with our friends Pastor Bob and Barbara Olmstead. Incidentally, the house sale we prayed for in this video which was on the market for some time, sold in two days after we prayed in faith! We’ve seen this happen so many times, not so we can call on God as a “genie in a bottle” ready to meet our every need, but so God may encourage us and show Himself strong. We have found that as we begin to walk closer to Him, for His purposes, we can expect His faith to manifest in our lives in ways that will make the world want to come to know Jesus not for what He can do, but to know just how great He is!. Yes, he wants to bless us but that is only secondary to coming to know Him and to sharing life with Him through our Lord Jesus Christ! Two Women Instantly Healed of Back Pain in Boston! Back Pain Healed in Boston! Laury and I prayed for the women on the right who was hurting and very miserable with chronic back pain and knee pain three weeks earlier, but look at her now! She’s still pain free and looking great! We also prayed for her friend just before taking this video and now she is also pain free. Jesus is worthy, He is amazing!